Reducing environmental impact and the utmost focus on safety are keys of Winsson’s Vison and Values. Winsson Enterprises is 100% RoHS compliant, 100% of the time. Winsson is 100% RoHS compliant, 100% of the time. We strive to maintain high corporate ethics, social responsibility, and to drive success for both our customers and our employees. This is achieved by adhering to high ethical standards with our customers, suppliers, partners, employees, and communities. We maintain a safe working environment for all our employees and our neighbors. 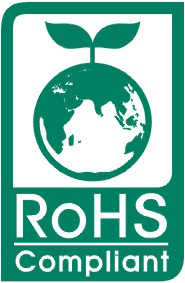 Our vision in this regard has prompted us to invest significantly in our personnel and equipment to build ALL products to RoHS standards, and insure we adhere to all local environmental regulations. On January 27, 2003, the European Parliament and the Council of the European Union issued DIRECTIVE 2002/95/EC on the restriction of the use of certain HAZARDOUS SUBSTANCES in electrical and electronic equipment. lead (Pb), mercury (Hg), cadmium (Cd), hexavalent chromium (Cr[VI]), polybrominated biphenyls (PBB) and polybrominated diphenyl ether (PBDE). For additional information, we suggest that the following sources be contacted: www.rohs.gov.uk or Underwriters Lab. Inc. at 1-877-854-3577.